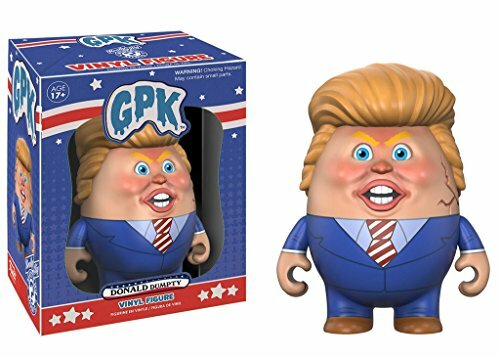 Our latest GPK vinyl figures pay homage to two of the biggest names in politics today!No GPK collection is complete without Donaldy Dumpty and Billary Hillary!These figures come in a window-box to display each character's grotesque details! If you have any questions about this product by Funko, contact us by completing and submitting the form below. If you are looking for a specif part number, please include it with your message.